Homemade body products are a luxury especially when they contain a delicious helping of chocolate. That’s right ladies today we’re making a Whipped Chocolate Body Butter and it’s amazing. It’s light, fluffy, chocolaty and heaven on your skin. A little goes a long way and can be used on your entire body. This Whipped Chocolate Body Butter is perfect for those winter months where our skin is more dried out than normal. 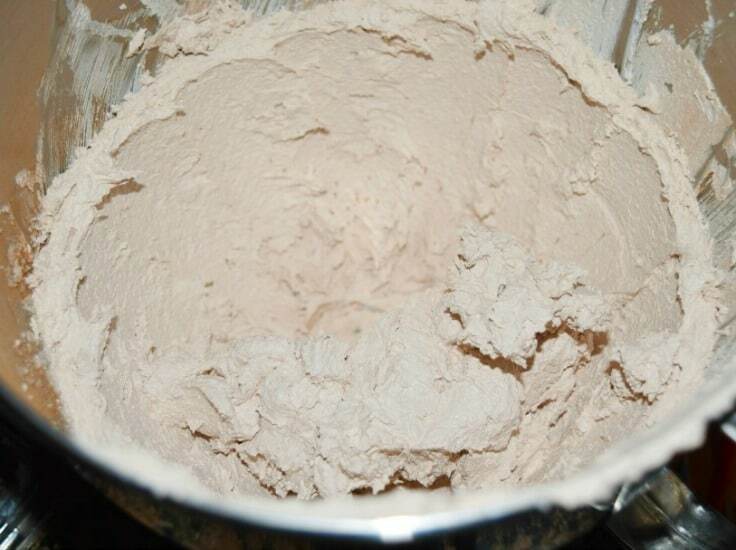 Best of all this can be made just using 3 ingredients and takes a total of 5 minutes to whip up an entire batch that will last you 6 months. 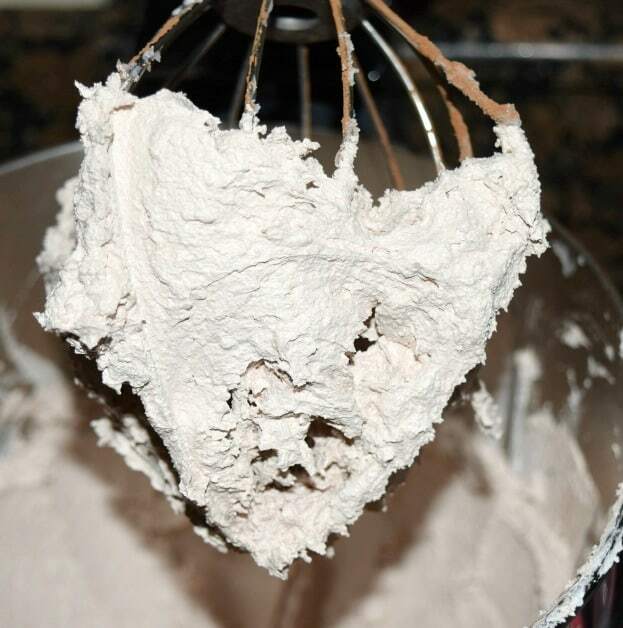 I chose to use my trusty KitchenAid stand mixer to whip up my Whipped Chocolate Body Butter so I set that out on my counter. I spooned in my OPC Foaming Bath Butter and turned on my mixer to a high speed of 10 and let it whip up for about 1 minute. After it was whipped up to my liking I poured in 1 cup of white sugar and set it back up to a speed of 10 and whipped it for another minute. 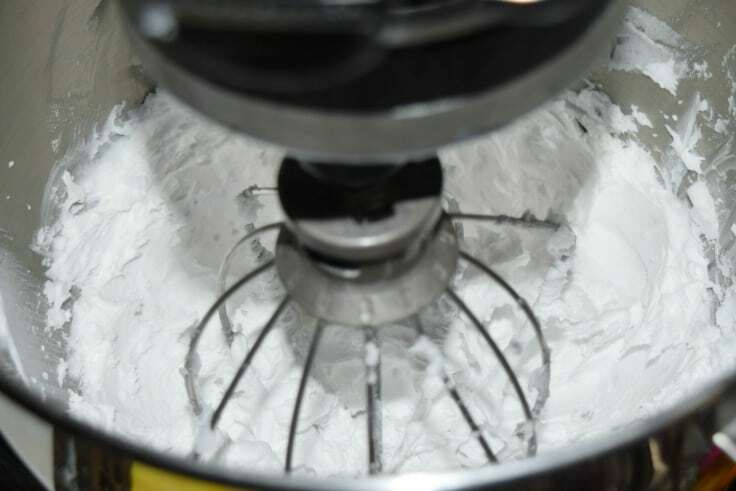 Be sure to use a spatula to scrap down the mixture to push it towards the middle so it all gets mixed up evenly. 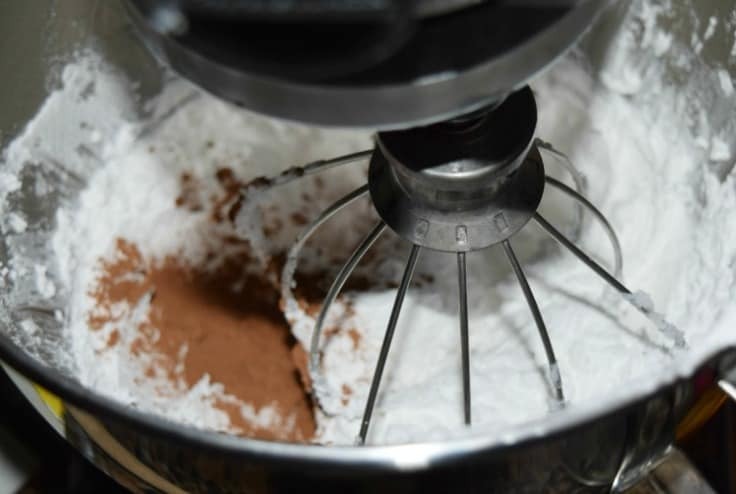 Last thing to add in is your cocoa powder. I used 2 tablespoons but you can use as little or as much as you want depending on your preference. 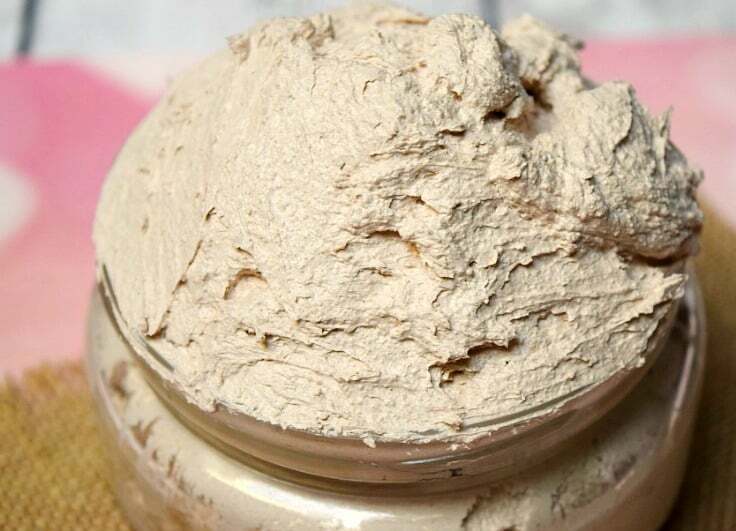 Pour in your cocoa powder and whip up your Whipped body butter on high for another 30 seconds and that’s it. Spoon your Whipped body butter into an airtight container such as a Mason jar or glass jar with a lid. Enjoy. Update from Brittany: To be used in the bathtub or shower and then when it gets wet it lathers up and rinses off leaving your skin smooth. 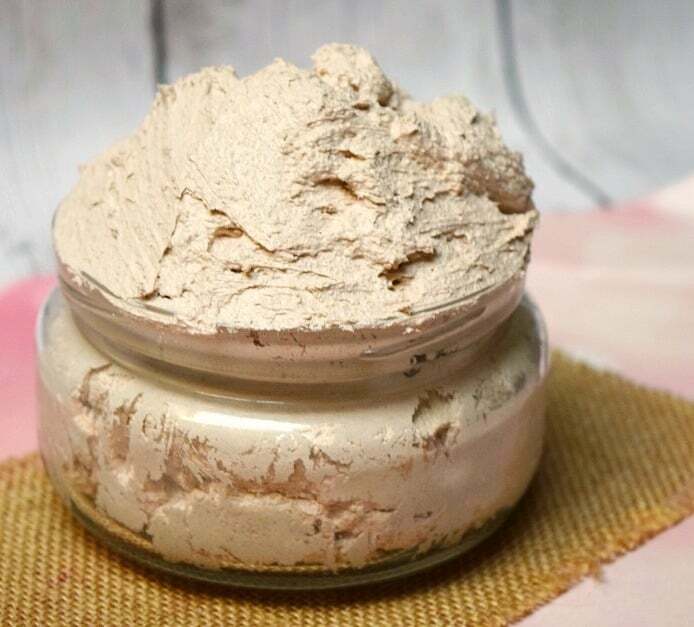 For more DIY beauty products check out these recipes for Peppermint Lip Scrub, Homemade Coffee Sugar Scrub, DIY Dry Shampoo for Brunettes, Homemade Lavender Bath Salt, Homemade Coffee Soap, Zesty Vanilla Rose Soap and DIY Coffee Body Scrub. this is so wsome! good and fun. maybe get help putting in on?!! The “Whipped Chocolate Body Butter” pcture looks yummy enough to eat. 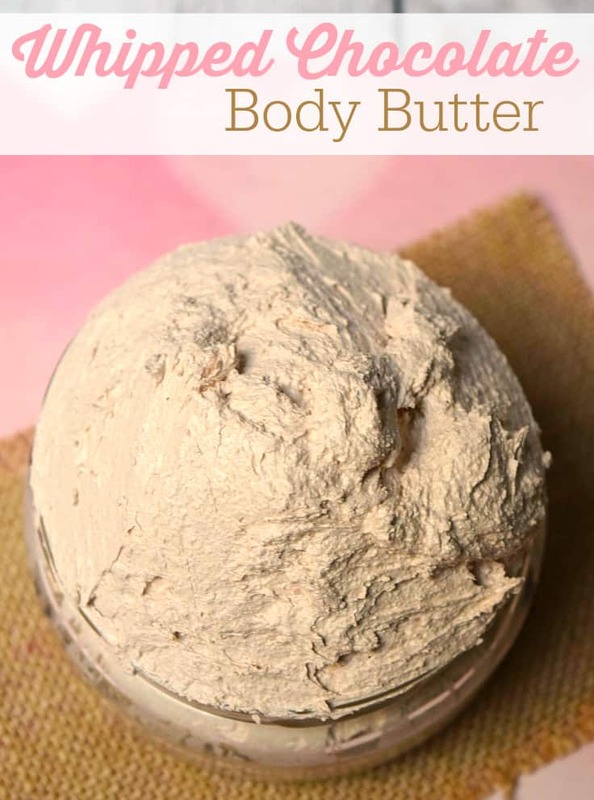 I have always wanted to try a body butter and now I can make using the recipe above. Almost a shame to waste the chocolate! 🙂 but the smell would be great! That looks great. The texture looks perfect!! This looks awesome! Thanks for the recipe. Awesome! This is great, but I’d use something other than chocolate to make this body butter, for me chocolate is strictly for eating. Love to make this! Thanks for the ‘recipe’! 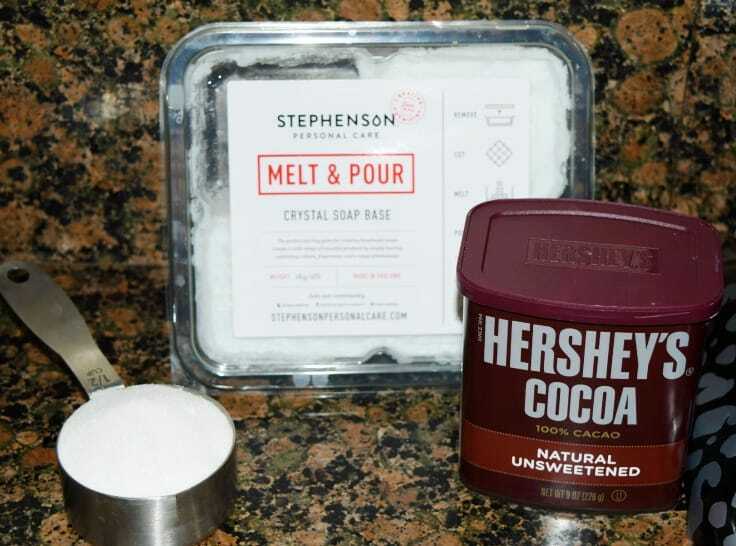 I’ve never heard of Stephenson OPC Foaming Bath Butter but I’m going to have to find some! This recipe is so easy and would be such a great gift! Amazing! Can’t believe how easy it is to make….perfect for homemade gifts for family and friends. Thanks for the recipe! So helpful to have these do yourself recipes. I agree they would make great homemade gifts. HI! Visiting from Happiness is Homemade. This looks good and probably smells good enough to eat! Thanks so much for sharing the technique. I never knew it was so easy! This looks good enough to eat! I wonder, though, does the added sugar make this body butter sticky? Does it leave a sticky residue on your body? This is wonderful! – I’m totally going to try this. I’m visiting from Happiness is Homemade Linky. I love making beauty products at home thanks for the great idea! This is so awesome and only 3 ingredients how can you bet that? I will definitely make some of this up I love body butter!! Thanks! Wow this must smell incredible! I made this and i love it!! I can’t wait to experiment and try different scents and colors and add essential oils! It’s not a body butter though it’s a Bath and Shower Cream Body Butter Scrub!